If you are a wine lover, you will naturally wish to buy a new wine refrigerator for your personal use at home. While shopping for the right choice, you will notice that there are 2 basic types of wine coolers at ClevelandLeader. These include freestanding and built-in models. There are several differences between the two. As the name suggests, freestanding ones are meant to be installed separately. These cannot be installed under a counter, since that can easily endanger the life of the unit, as well as, the wines inside. On the other hand, built-in freezers are designed to be installed under a counter. These come with vents in front of the unit which lets the fridge work properly even with wooden cabinetry on all 3 sides. When you go shopping for a new wine fridge, you need to consider several factors before you make the final choice. Some of the vital factors have been discussed below. Placement of The Fridge: It is very important that you decide upon the place where you wish to install the fridge. If you prefer to fill up an empty cabinet space, then choosing a built-in wine refrigerator will be a good idea. These appliances are especially designed to fit into under-the-counter small spaces. However, if you wish to place the appliance to occupy an empty space in one of your rooms, then purchasing a freestanding unit will be a good option. Capacity of The Unit: Once you determine the place where you plan to install the wine fridge, the next major factor to consider is the number of wine bottles you plan to store inside the appliance. When you decide to go for a built-in refrigerator, you need to remember that these are usually compact in size. This is simply because these are designed to be installed under a counter. Since these have a limited size, their capacity is also limited. On the other hand, freestanding appliances provide more room for you to store your wines with ease. Temperature Zones: One of the primary differences between a built-in and a freestanding wine fridge is the different temperature zones. Most of the wine coolers come with a single temperature zone section. This means the same temperature is maintained throughout the appliance. Such units are usually god for users who use one kind or wine, white or red. If you start storing different types of wine in the same fridge, then you will need to use one which comes with a dual temperature feature. Cooling Options: It is good to know that there are wine coolers with different cooling options. Some come with compressor cooling, some come with thermoelectric cooling, and some come with air cooled technology. Those with compressor cooling technology tend to vibrate a lot at times which may disrupt the sediments of the wine. Wine coolers that run on thermoelectric cooling technology are quieter and cool in an even manner. Wine coolers with air cooled technology tend to be built-in rather than freestanding. Kelowna BC in Canada is popular because of many things and one of these things is having some of the best wineries in the world. A Kelowna winery that makes wine both for the local and international markets will increase their market size. The wineries contribute significantly to the economy of the city and therefore they are an important component of the society. The wineries are of different sizes with the big ones having capacity to produce a lot of wine which is sold both in Canada and in other parts of the world. Some of the most popular Kelowna wineries include; Summerhill Pyramid Winery, The View Winery and Cedar Creek Estate Winery. who have the necessary skills to make wine effectively. They also use state of the art machines and tools to aid their vintages. These attributes give them an opportunity to make a high-quality product which is liked all over the world. Furthermore, the wineries in this city make wine which has met the necessary standards. This is facilitated by the fact that each winery must be licensed before starting to operate. The licenses are only issued after inspections are done to make sure that everything that is needed is available. Another quality of the Kelowna wineries is that they provide employment to the people of this area. Some of the wineries bring in experts from other places who are highly skilled in winemaking. But the large percentage of people working in these wineries is made up of locals who contribute significantly in the production and sales. The wineries also get most of their grapes from the area surrounding the city. This also plays an important role in growing the economy of this particular city. The wineries in Kelowna usually make different types of wines to satisfy all the aspects of the market. Some concentrate on making just certain types of wines. But most of them make an assortment of wines especially the relatively big wineries. Experts do test and taste the wines to ensure they have the right flavors. The wines might also be kept for considerable periods of time so that they can achieve the right qualities. This is especially because the older the wine the better it becomes. The different shops are strategically located in places where they are easily accessible. This is to make sure that transport to and from convenient especially for wine-tasting tours which are very popular. Therefore, the Kelowna wineries make high-quality wine which makes them and this city very popular in Canada and also in other parts of the world. The challenge when decorating a home lies in the ability to offer a comfortable, practical environment while still including all the style aspects that you enjoy. With the display screen of items that have meaning to you, you draw individuals into your home and offer them a glimpse into your personality. For wine lovers, the display of a lovely collection can include instant elegance to any room. And the performance of a wine cellar bar enables you to achieve this while still maximizing space and providing helpful storage. A wine rack bar serves a double function, saving and displaying wine bottles, while supplying area for serving drinks. It can be a fantastic method to pull a room together, ridding it of mess, and organizing wine bottles in an effective and functional system. When choosing a wine cellar bar, check the overall appearance of the room where you will position it. Be sure the wine rack bar blends into your general decoration; this can be achieved quite quickly as wine racks been available in a range of styles, colors, and products. Constructed of solid wood of numerous ranges, metal, and wrought iron, the wine cellar bar can lend itself to a range of various embellishing themes. So if a modern design is exactly what you’re wanting to accomplish, then a wine cellar bar made of metal or streamlined wood will easily fit your requirements; if it’s a natural feel you enjoy, then a lighter wood or even wrought iron style might assist you to achieve your result. A wine cellar bar needs to represent both the size of your living area and the size of your wine collection. For the screen of just a couple of bottles– or in smaller living environments– a basic, smaller wine rack bar will fit quite perfectly. For bigger wine bottle collections– or in bigger living areas– you can get away with a more grand wine rack bar. 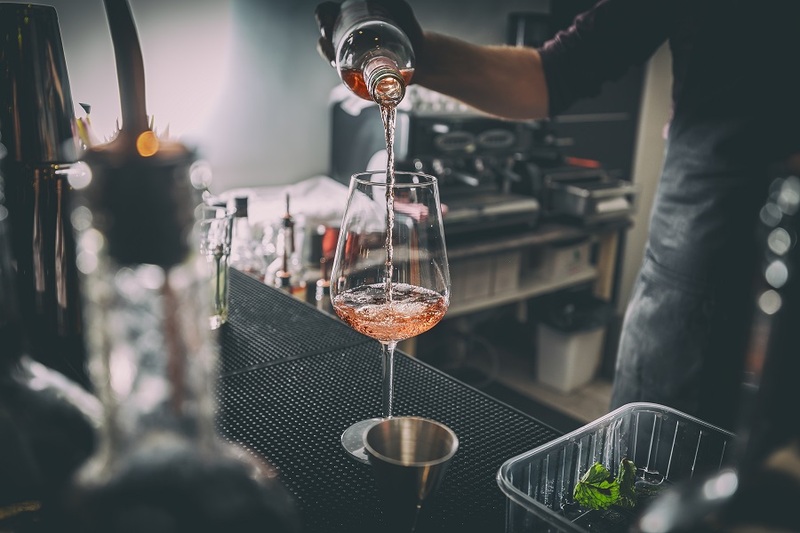 Furthermore, if you likewise opt to display and save stemware and barware, you may decide to look for a system that has a bit more accessories than the simpler designs. Once you take space, style, and price into factor to consider you’re ready to discover the best wine rack bar. Start by searching in furnishings shops– you might be amazed at the affordably lovely designs. But no matter where you purchase your wine rack bar, you will surely discover its existence one that brings organization and elegance to your home. For information on the 2012 Somm Slam at the International Chefs Congress visit http://www.starchefs.com/cook/events/somm-slam/2012.